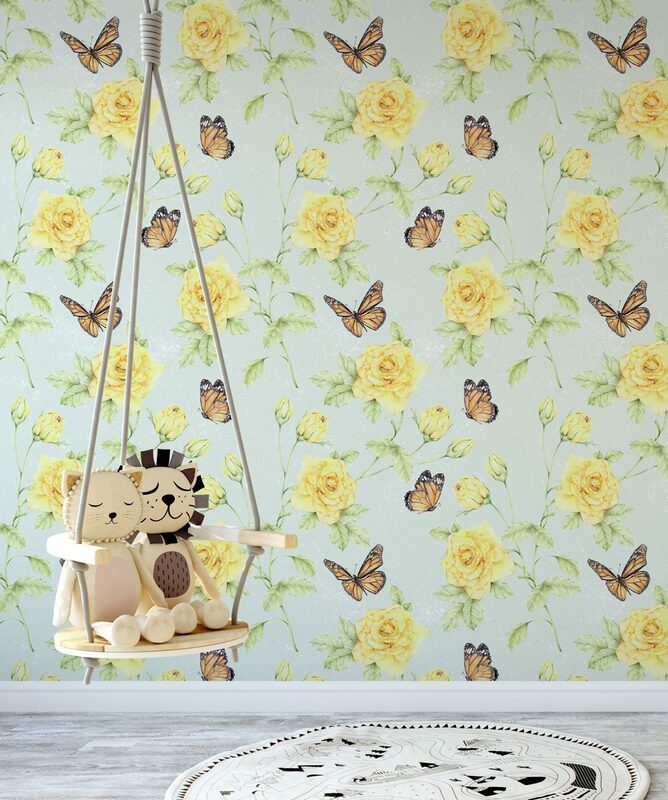 Inspired by early Victorian designs, Roses and Butterflies is a modern interpretation of forgotten times, afternoon teas and playfulness in an English garden. 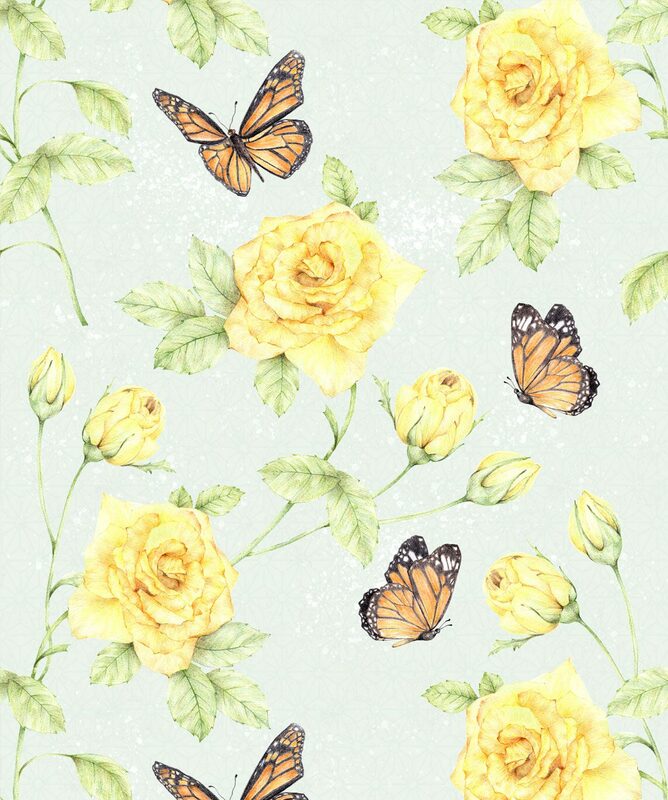 On a baby blue background, monarch butterflies float among blooming yellow roses. 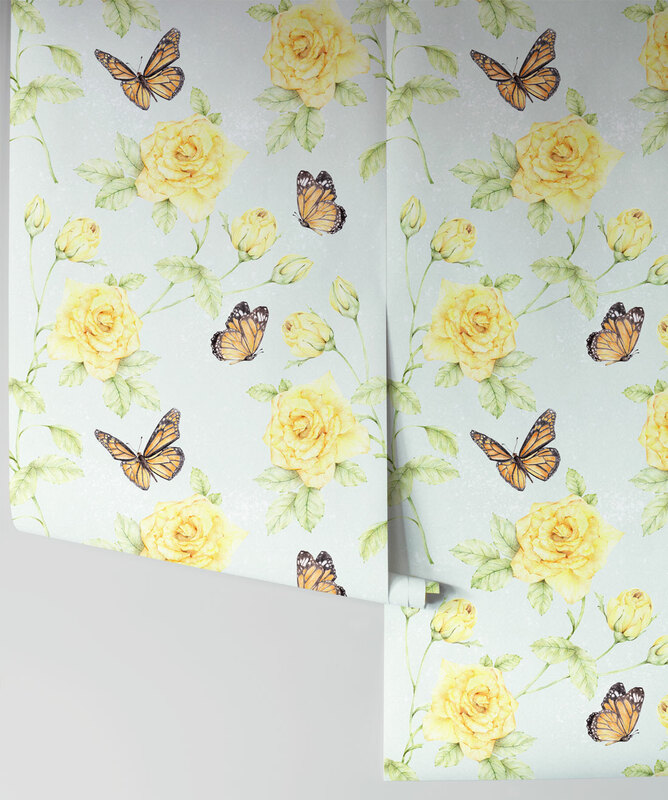 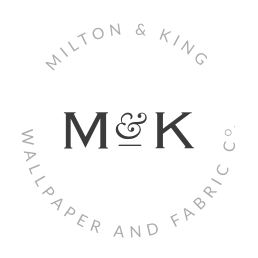 A self-adhesive floral wallpaper that is easy to install and easy to remove.